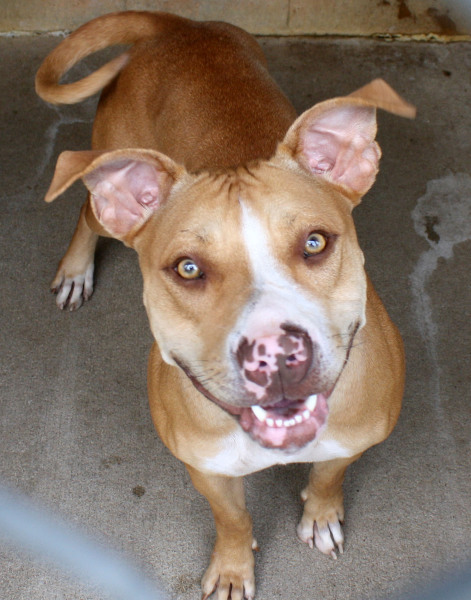 Beckham is approximately a year old male boxer mix. Visual breed identification in dogs is unreliable so for most of our dogs we are only guessing at predominant breed or breed mix. We encourage you to select your new companion by considering each dog's individual personality and pet qualities instead of relying on a breed label that is only a guess. 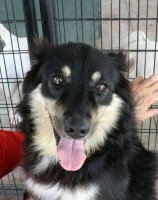 Buddy is approximately 5 1/2 year old male shepherd mix. He prefers a home with no cats. Visual breed identification in dogs is unreliable so for most of our dogs we are only guessing at predominant breed or breed mix. 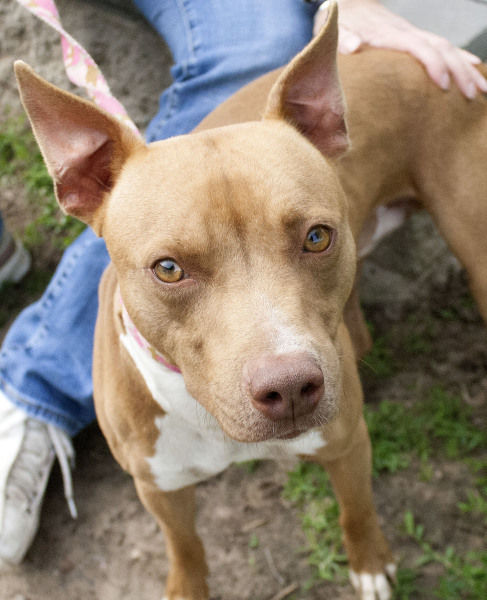 We encourage you to select your new companion by considering each dog's individual personality and pet qualities instead of relying on a breed label that is only a guess. 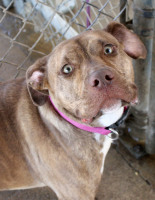 Diamond is 2-3 year old female Boxer mix. Visual breed identification in dogs is unreliable so for most of our dogs we are only guessing at predominant breed or breed mix. We encourage you to select your new companion by considering each dog's individual personality and pet qualities instead of relying on a breed label that is only a guess. 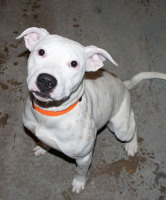 Aphrodite is a year old female American Bulldog/Boxer mix. Visual breed identification in dogs is unreliable so for most of our dogs we are only guessing at predominant breed or breed mix. 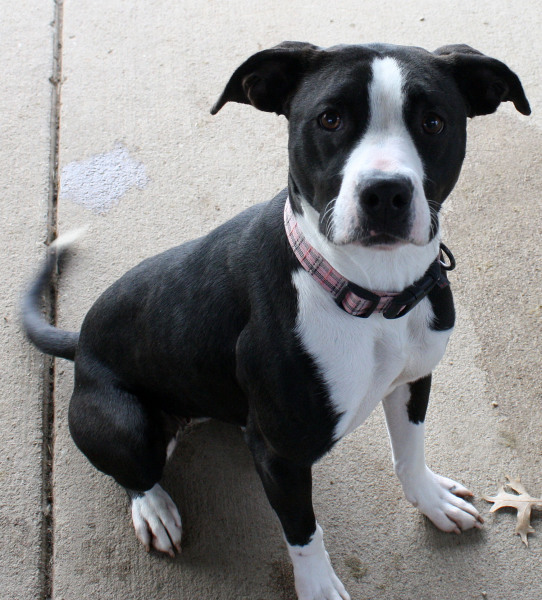 We encourage you to select your new companion by considering each dog's individual personality and pet qualities instead of relying on a breed label that is only a guess. Donny is a 7.5 year Spaniel mix. Visual breed identification in dogs is unreliable so for most of our dogs we are only guessing at predominant breed or breed mix. 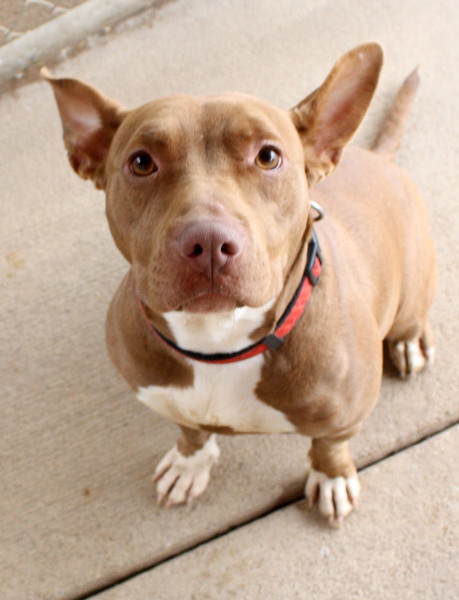 We encourage you to select your new companion by considering each dog's individual personality and pet qualities instead of relying on a breed label that is only a guess. 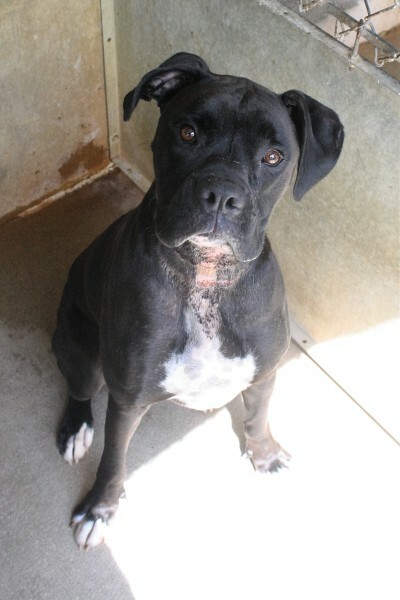 Envy is a 2 year old female Boxer mix. Visual breed identification in dogs is unreliable so for most of our dogs we are only guessing at predominant breed or breed mix. 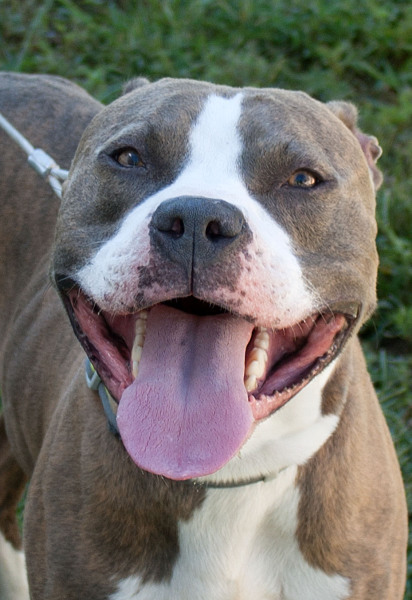 We encourage you to select your new companion by considering each dog's individual personality and pet qualities instead of relying on a breed label that is only a guess. 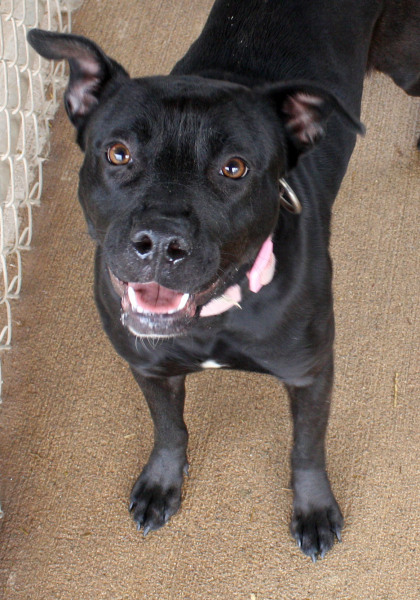 Gilda is a 2-3 year old female lab mix. Visual breed identification in dogs is unreliable so for most of our dogs we are only guessing at predominant breed or breed mix. We encourage you to select your new companion by considering each dog's individual personality and pet qualities instead of relying on a breed label that is only a guess. 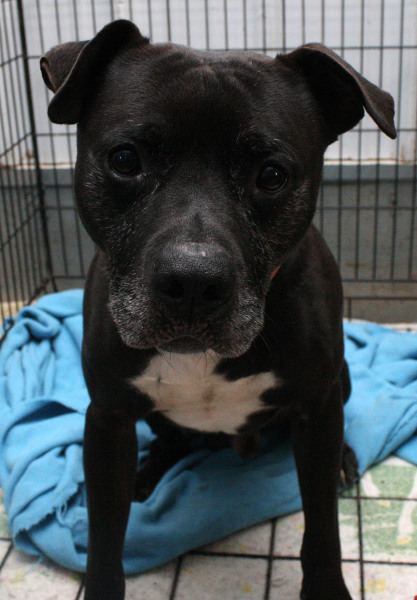 Grady is approximately a 5 year old male American Staffordshire terrier. Visual breed identification in dogs is unreliable so for most of our dogs we are only guessing at predominant breed or breed mix. 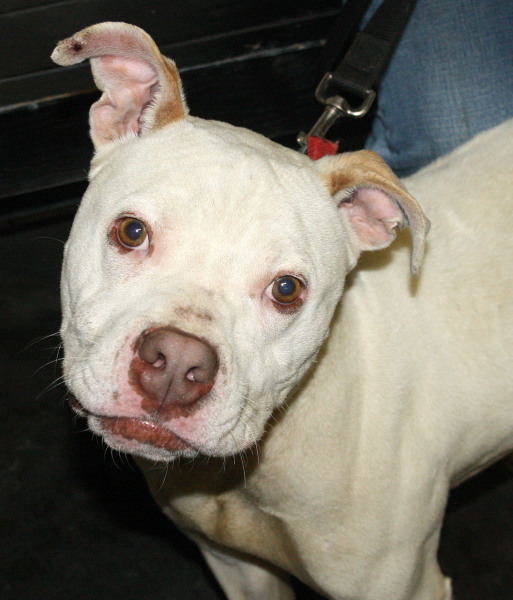 We encourage you to select your new companion by considering each dog's individual personality and pet qualities instead of relying on a breed label that is only a guess. Harlot is a 3 year old female Shar Pei mix Visual breed identification in dogs is unreliable so for most of our dogs we are only guessing at predominant breed or breed mix. We encourage you to select your new companion by considering each dog's individual personality and pet qualities instead of relying on a breed label that is only a guess. 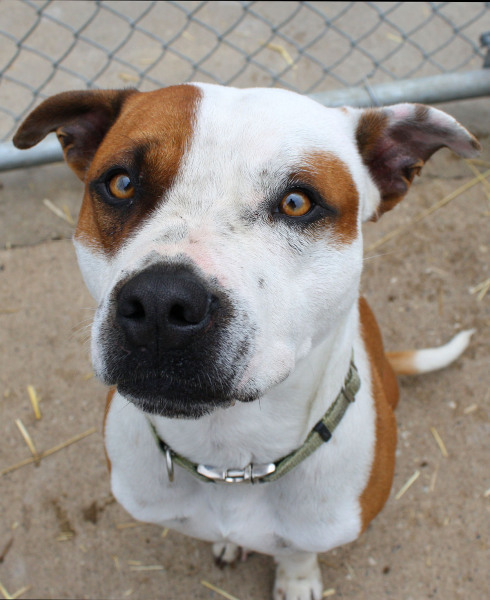 Hazard is a 4 year old male Boxer mix. Visual breed identification in dogs is unreliable so for most of our dogs we are only guessing at predominant breed or breed mix. We encourage you to select your new companion by considering each dog's individual personality and pet qualities instead of relying on a breed label that is only a guess. Hill is a 2 year old male Boxer mix. Visual breed identification in dogs is unreliable so for most of our dogs we are only guessing at predominant breed or breed mix. We encourage you to select your new companion by considering each dog's individual personality and pet qualities instead of relying on a breed label that is only a guess. 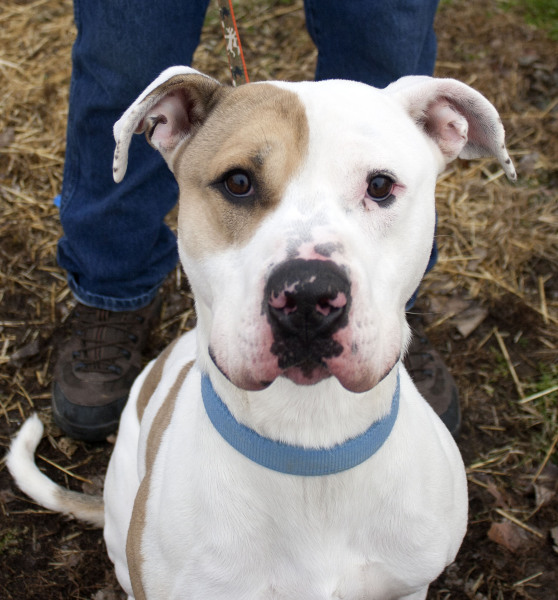 Hercules is a 2-3 year old male Boxer mix. Visual breed identification in dogs is unreliable so for most of our dogs we are only guessing at predominant breed or breed mix. We encourage you to select your new companion by considering each dog's individual personality and pet qualities instead of relying on a breed label that is only a guess. 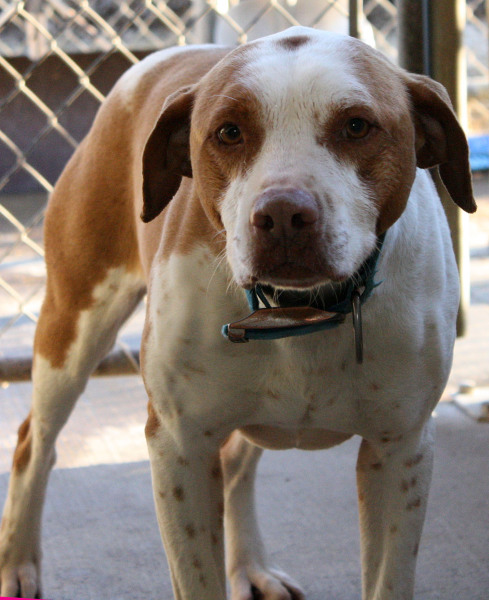 Juno is a male American Bulldog mix who is approximately 9 years old. Visual breed identification in dogs is unreliable so for most of our dogs we are only guessing at predominant breed or breed mix. We encourage you to select your new companion by considering each dog's individual personality and pet qualities instead of relying on a breed label that is only a guess. 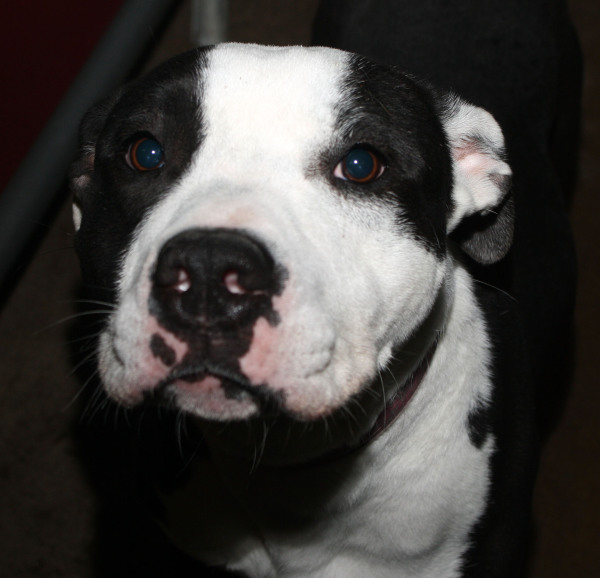 Kerrigan is a female American Staffordshire Terrier who is 2.5 years old. 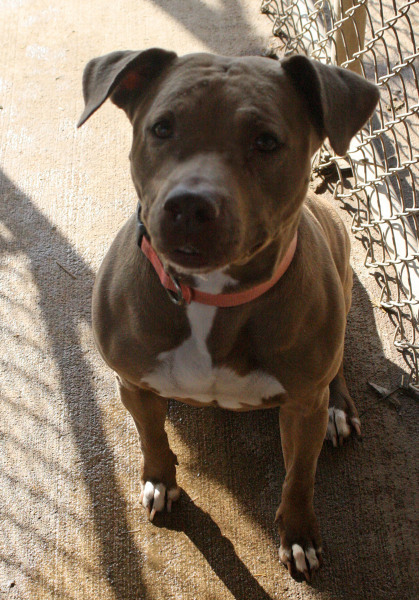 She would do best in a home with no other dogs or cats. Visual breed identification in dogs is unreliable so for most of our dogs we are only guessing at predominant breed or breed mix. We encourage you to select your new companion by considering each dog's individual personality and pet qualities instead of relying on a breed label that is only a guess. 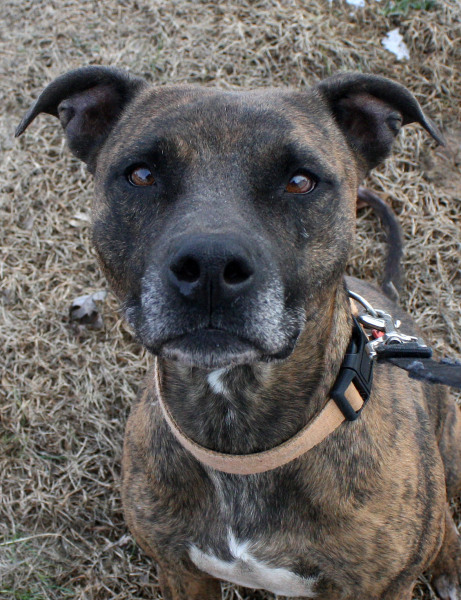 Kouzy is a male Boxer mix who will be 5 in May. His forever home would include one without cats. Visual breed identification in dogs is unreliable so for most of our dogs we are only guessing at predominant breed or breed mix. We encourage you to select your new companion by considering each dog's individual personality and pet qualities instead of relying on a breed label that is only a guess. Leia is a female Plot hound mix and is approximately 3 years old. Visual breed identification in dogs is unreliable so for most of our dogs we are only guessing at predominant breed or breed mix. 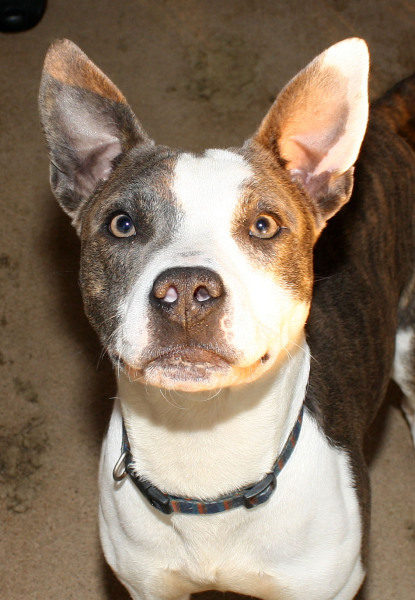 We encourage you to select your new companion by considering each dog's individual personality and pet qualities instead of relying on a breed label that is only a guess. 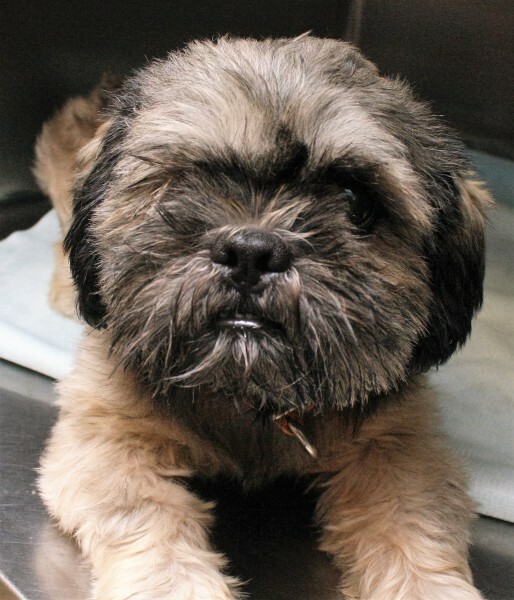 Little Foot is a male Terrier mix. Visual breed identification in dogs is unreliable so for most of our dogs we are only guessing at predominant breed or breed mix. 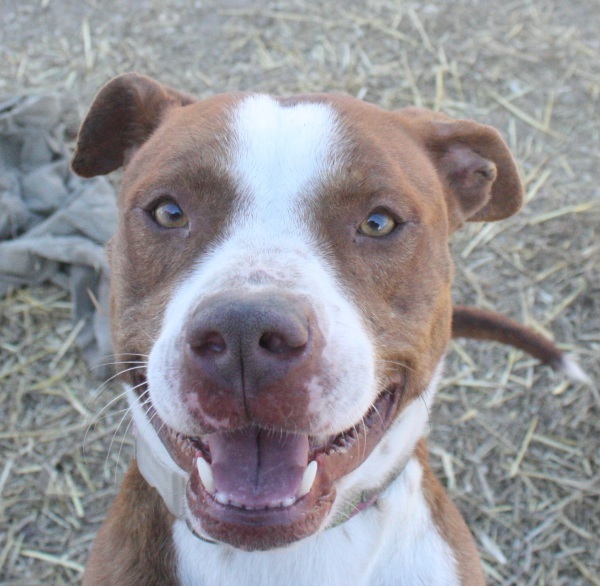 We encourage you to select your new companion by considering each dog's individual personality and pet qualities instead of relying on a breed label that is only a guess. 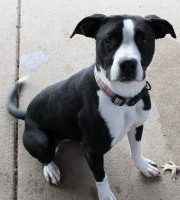 Luca is a male Great Dane mix and is approximately 2-3 years old. Visual breed identification in dogs is unreliable so for most of our dogs we are only guessing at predominant breed or breed mix. We encourage you to select your new companion by considering each dog's individual personality and pet qualities instead of relying on a breed label that is only a guess. 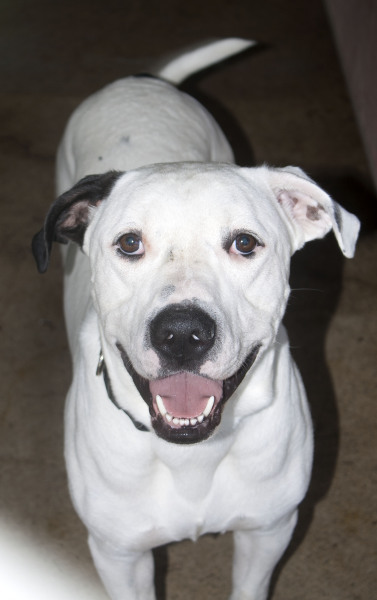 Medda is a female American Bulldog/Boxer mix. Visual breed identification in dogs is unreliable so for most of our dogs we are only guessing at predominant breed or breed mix. We encourage you to select your new companion by considering each dog's individual personality and pet qualities instead of relying on a breed label that is only a guess. 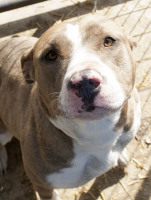 Muldoon is a male American Staffordshire Terrier and is around 3 years of age. Visual breed identification in dogs is unreliable so for most of our dogs we are only guessing at predominant breed or breed mix. We encourage you to select your new companion by considering each dog's individual personality and pet qualities instead of relying on a breed label that is only a guess. Mya is a female American Bulldog mix. Visual breed identification in dogs is unreliable so for most of our dogs we are only guessing at predominant breed or breed mix. We encourage you to select your new companion by considering each dog's individual personality and pet qualities instead of relying on a breed label that is only a guess. 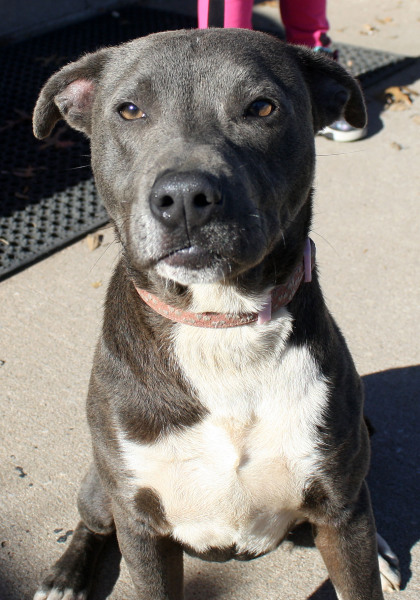 Naysia is a female Lab/Terrier mix. Visual breed identification in dogs is unreliable so for most of our dogs we are only guessing at predominant breed or breed mix. We encourage you to select your new companion by considering each dog's individual personality and pet qualities instead of relying on a breed label that is only a guess. 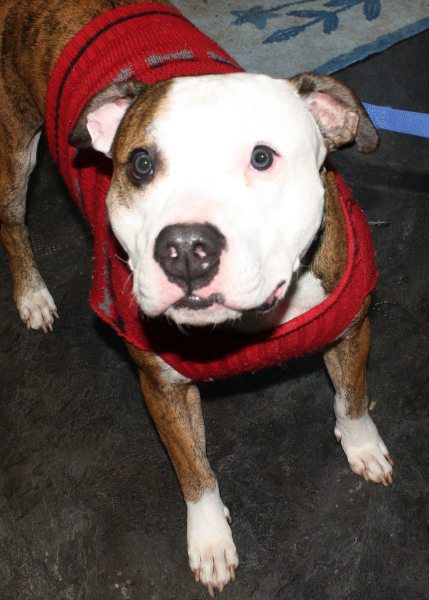 Possum is a male American Bulldog. Visual breed identification in dogs is unreliable so for most of our dogs we are only guessing at predominant breed or breed mix. We encourage you to select your new companion by considering each dog's individual personality and pet qualities instead of relying on a breed label that is only a guess. Ox is a male Boxer/Bulldog mix and is around 3 years old. 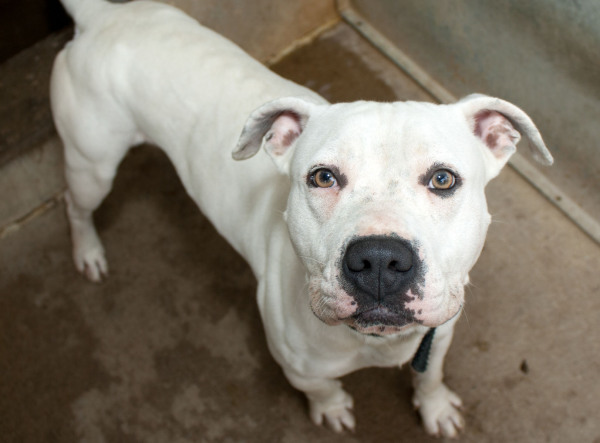 SPECIAL NEED: Ox is deaf* Visual breed identification in dogs is unreliable so for most of our dogs we are only guessing at predominant breed or breed mix. 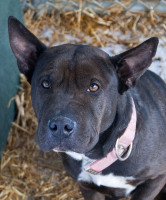 We encourage you to select your new companion by considering each dog's individual personality and pet qualities instead of relying on a breed label that is only a guess. Rave is a female Terrier mix. Visual breed identification in dogs is unreliable so for most of our dogs we are only guessing at predominant breed or breed mix. We encourage you to select your new companion by considering each dog's individual personality and pet qualities instead of relying on a breed label that is only a guess. 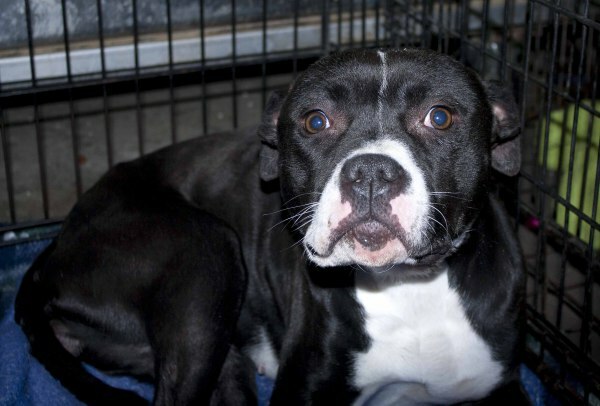 Rosalyn is a 3 year old female. Visual breed identification in dogs is unreliable so for most of our dogs we are only guessing at predominant breed or breed mix. We encourage you to select your new companion by considering each dog's individual personality and pet qualities instead of relying on a breed label that is only a guess. Roxi is a 1-2 year old female. Visual breed identification in dogs is unreliable so for most of our dogs we are only guessing at predominant breed or breed mix. We encourage you to select your new companion by considering each dog's individual personality and pet qualities instead of relying on a breed label that is only a guess. 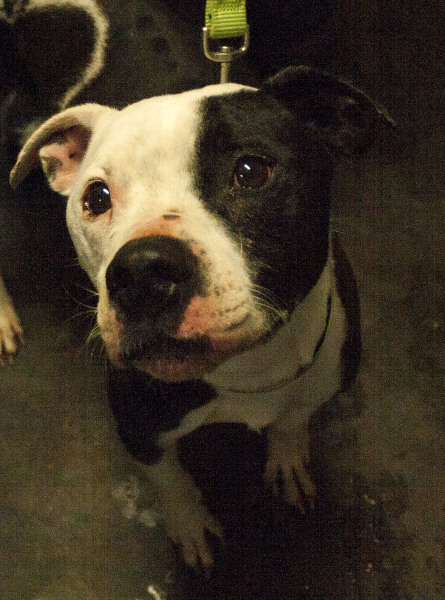 Sonny is a 3 year old male. Visual breed identification in dogs is unreliable so for most of our dogs we are only guessing at predominant breed or breed mix. We encourage you to select your new companion by considering each dog's individual personality and pet qualities instead of relying on a breed label that is only a guess. Tank is a male. Visual breed identification in dogs is unreliable so for most of our dogs we are only guessing at predominant breed or breed mix. We encourage you to select your new companion by considering each dog's individual personality and pet qualities instead of relying on a breed label that is only a guess. Tanzy is a female. Visual breed identification in dogs is unreliable so for most of our dogs we are only guessing at predominant breed or breed mix. We encourage you to select your new companion by considering each dog's individual personality and pet qualities instead of relying on a breed label that is only a guess. 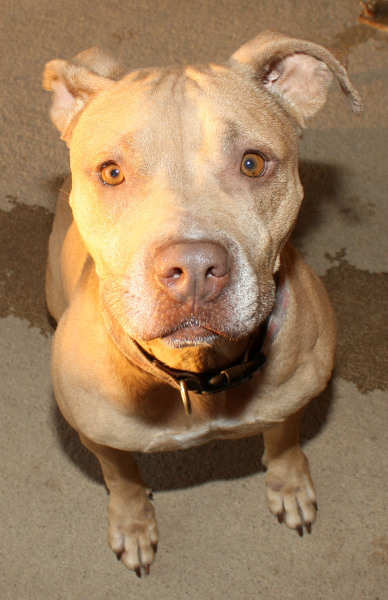 Willa is a female Visual breed identification in dogs is unreliable so for most of our dogs we are only guessing at predominant breed or breed mix. We encourage you to select your new companion by considering each dog's individual personality and pet qualities instead of relying on a breed label that is only a guess. Goon is a young male terrier who would do best with a home with no small kids under the age of 7 or cats. Visual breed identification in dogs is unreliable so for most of our dogs we are only guessing at predominant breed or breed mix. 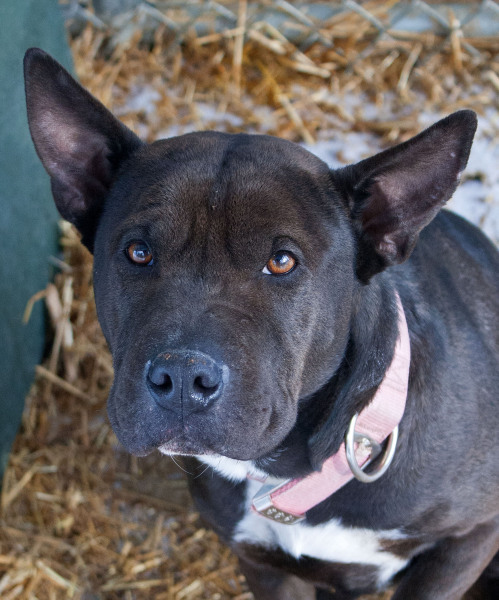 We encourage you to select your new companion by considering each dog's individual personality and pet qualities instead of relying on a breed label that is only a guess. 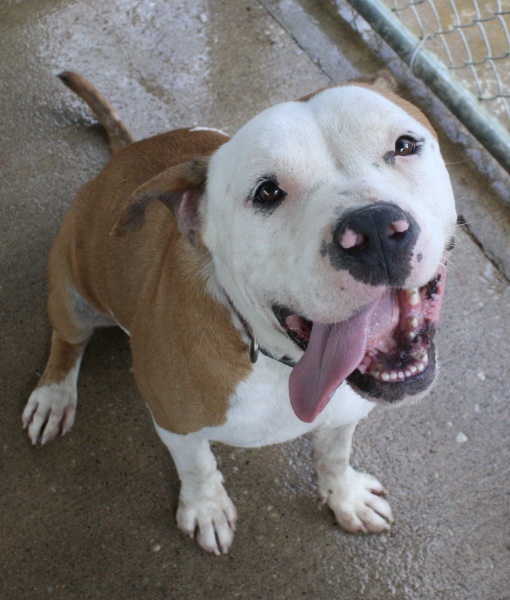 He is a young male boxer. Visual breed identification in dogs is unreliable so for most of our dogs we are only guessing at predominant breed or breed mix. We encourage you to select your new companion by considering each dog's individual personality and pet qualities instead of relying on a breed label that is only a guess. 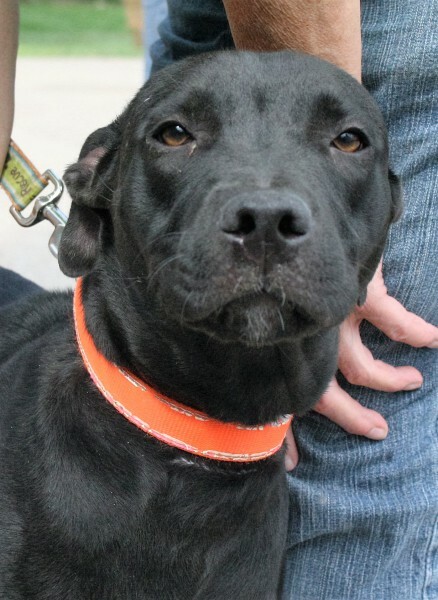 Aleena is a young female lab mix. Visual breed identification in dogs is unreliable so for most of our dogs we are only guessing at predominant breed or breed mix. We encourage you to select your new companion by considering each dog's individual personality and pet qualities instead of relying on a breed label that is only a guess. Buster is a male shihtzu mix with only 1 eye. Visual breed identification in dogs is unreliable so for most of our dogs we are only guessing at predominant breed or breed mix. We encourage you to select your new companion by considering each dog's individual personality and pet qualities instead of relying on a breed label that is only a guess. 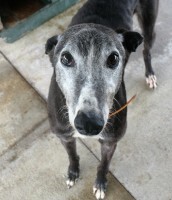 Slick is an elderly greyhound (8 years old) He needs a quiet house Visual breed identification in dogs is unreliable so for most of our dogs we are only guessing at predominant breed or breed mix. We encourage you to select your new companion by considering each dog's individual personality and pet qualities instead of relying on a breed label that is only a guess. 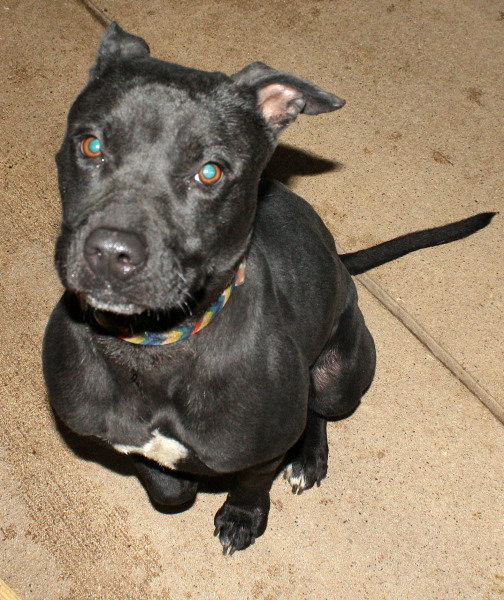 Castle is a 1 year old male. Visual breed identification in dogs is unreliable so for most of our dogs we are only guessing at predominant breed or breed mix. 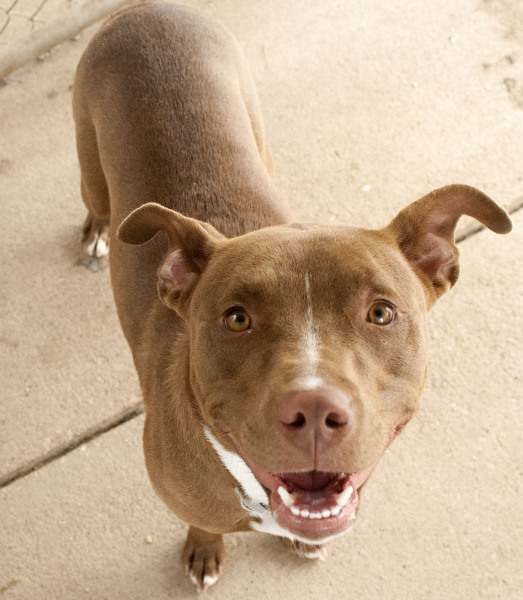 We encourage you to select your new companion by considering each dog's individual personality and pet qualities instead of relying on a breed label that is only a guess.